Can you take on the Catskills wilderness and survive the 5 days, Bear-style? "There is little faith involved in setting out on a journey where the destination is certain and every step in between has been mapped in detail. Bravery, trust, is about leaving camp in the dark, when we do not know the route ahead and cannot be certain we will ever return." 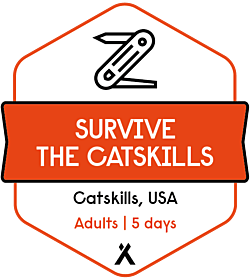 It may be the quirky towns and farm-to-table dining that usually lure urbanites to the Catskills nowadays, but in this intense five-day survival course, you’ll experience this beautiful mountain landscape in a completely different – and much more extreme – way. From your wilderness base camp, in the heart of coyote, bear and bobcat country, you’ll learn Bear Grylls’ own survival techniques, delivered by an elite company of instructors selected by Bear and his crew. They’ll guide your team in the Priorities of Survival, knife skills, fire lighting and rope work, showing you how to build an emergency shelter, forage and trap for food, gut and skin your catch, find and purify water. 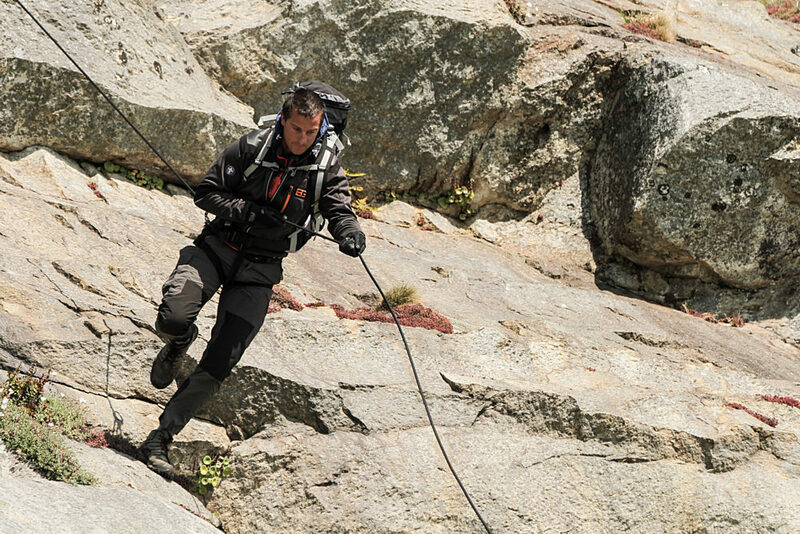 You’ll learn to navigate by day and by night, and how to dynamically and safely ascend mountainous terrain in a natural training theatre of rocky gorges, rugged cliffs, craggy outcrops and fast moving white waters. For your final 36-hour adventure, you’ll be dropped off in a remote mountainous area, with just a few basics and an empty water canteen. Nothing you have done before will test you like this experience, as you put everything you have learnt into practice to navigate the dense Catskill forest and make your way back to civilization – via a cascading waterfall! After the passing out ceremony that follows, your now well-used Bear Grylls knives – and the memories – are yours to keep.  All meals and accommodation are included and a large amount of equipment is on loan for the duration of the course, including: knife, mug, sleeping bag and liner, sleeping mat, rucksack and liner, head torch, water bottle, and all technical safety equipment. On successful completion of the course, participants will receive a Bear Grylls Survival Academy badge, certificate and Bear Grylls Gerber knife. The cost is $2199 USD per person, excluding flights and transfers. Payment plan options are available for this course – please contact the team for more information. NOTE: All deposits are non-refundable. PLEASE NOTE: You will be finished on day five by 14h00, please be aware of this before making any onward travel plans. All activities are weather dependent. One of the largest and most complex natural areas in the East, the Catskills Mountains boast verdant forests, narrow, winding valleys, rushing rivers and streams, crashing waterfalls, and an abundance of wildlife. Of the 700,000 acres of the Catskill Park and Forest Preserve, 250,000 are designated ‘forever wild’, making them one of the toughest – and most rewarding – places to earn your survival stripes. Incredible experience. It definitely "hurt a little", but I would not have changed a thing! The instructors (Josh, Jake) were outstanding - knowledgeable, supportive, and approachable. The course is harder than you think, but you come back stronger, smarter, and with a renewed perspective on what's important in life. It's one thing to think you can survive if you have to, it's another thing to put it into practice. I have no doubt that I could after this experience.